Scott and I are camping over near Niagara Falls where he was able to meet up with a friend he grew up with out in Alberta. 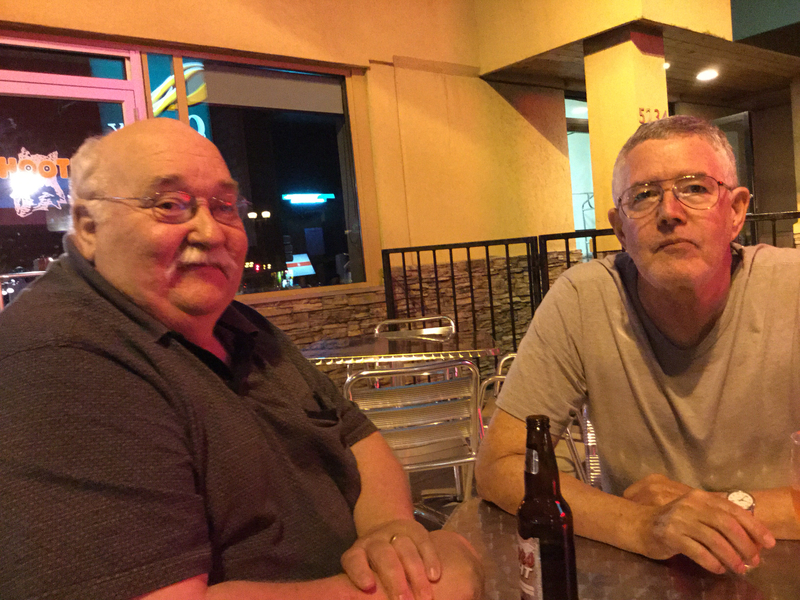 They haven't seen each other in over forty years. Needless to say, there was a lot of talking and catching up happening. 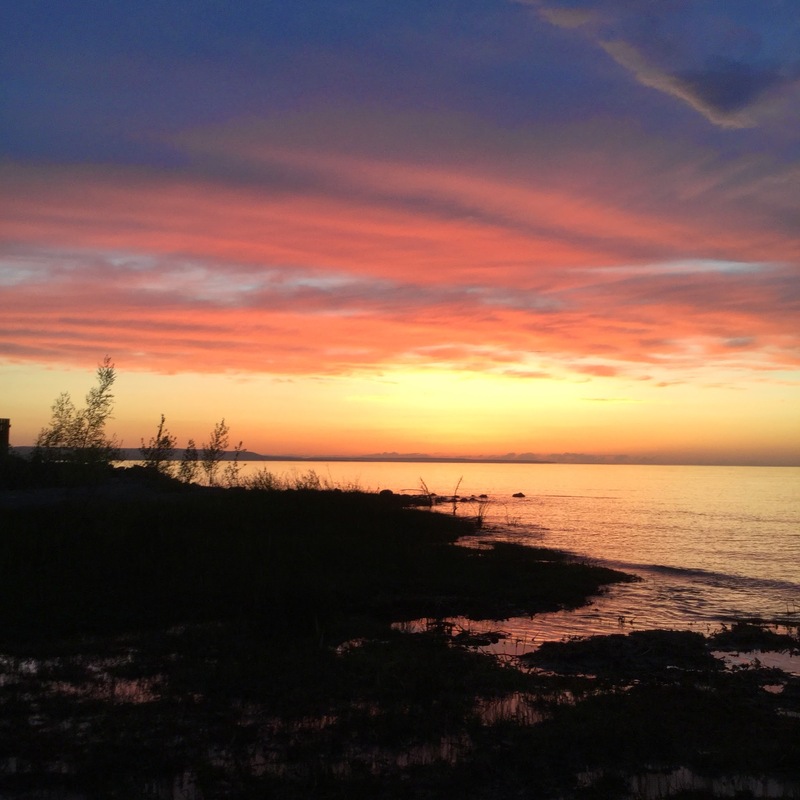 We weren't sure just when they'd be able to meet up during the five days his friend was visiting at the falls, so we booked a campsite at Rock Point Provincial Park. The weather forecast...... Rainy and cold for the next two days, while the Shepherds are camping. The day we go home, sunny and warm. So, we're going to spend the rest of today hanging out in the trailer trying to keep warm and dry. Scott will likely play some computer games, and I will work on my slow Sunday stitching, and maybe watch a movie. We brought a small TV and a DVDs player, since we knew before we left home that the forecast for this weekend was pretty rotten. In the meantime, I brought a new section of La Passacaglia to work on. I managed to get one of the large rosettes all cut out and prepped before we left. I'll be working on it for most of the rest of today. I'm starting to get the hang of this blogsy app, but I can't remember how to do the linking thing, even though I did look it up before we left home. We also went on a small road trip earlier today, to a quilt shop called the Quilting Bee in Fonthill, about 30 minutes from where we are staying. I found some more fabrics that will look great in this project. This beauty of a quilt belongs to Alice. Although, if I remember correctly, it is eventually going to be a gift for her son. I was really disappointed that the pictures I took of it didn't turn our all that well. 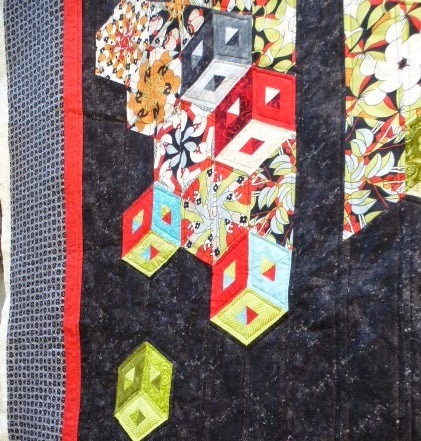 They certainly don't do this quilt justice, at all. It was an incredibly windy day and threatening rain, when I was taking these, so it was difficult to get good pictures. 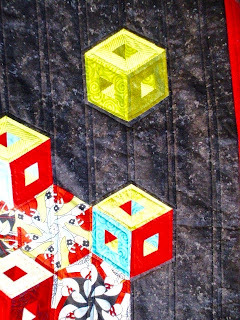 This quilt required a lot of thought for the quilting design. 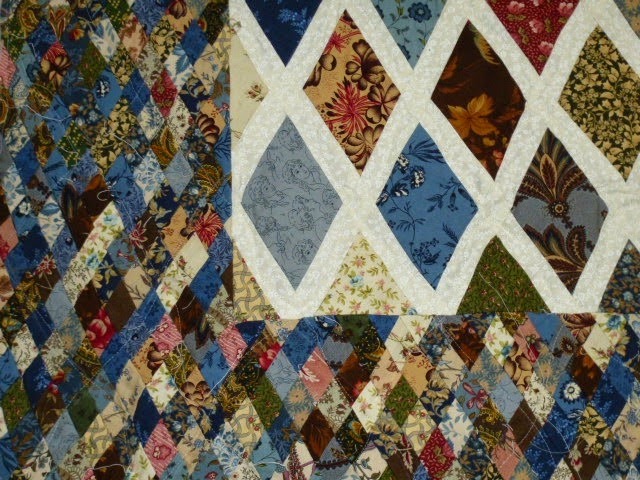 It had to be something to enhance all the over all look of the quilt, without taking any of the focus away from from either the fabrics or the amazing piecing. In the end, we decided to go with a very simple straight line quilting 1/4 inch away from the seams in the body of the quilt. The red border got straight lines 1/2 inch away from the long seams. The we decided on large swirls for the outer border. 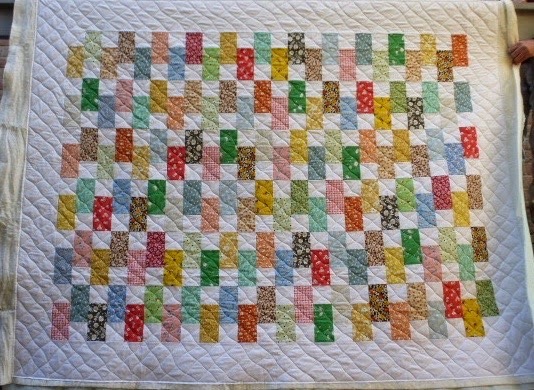 This quilt was a joy, and a challenge, to work on from beginning to end. A lot of starts and stops, and a lot of ends that had to be tied and buried, but it was worth all of it. 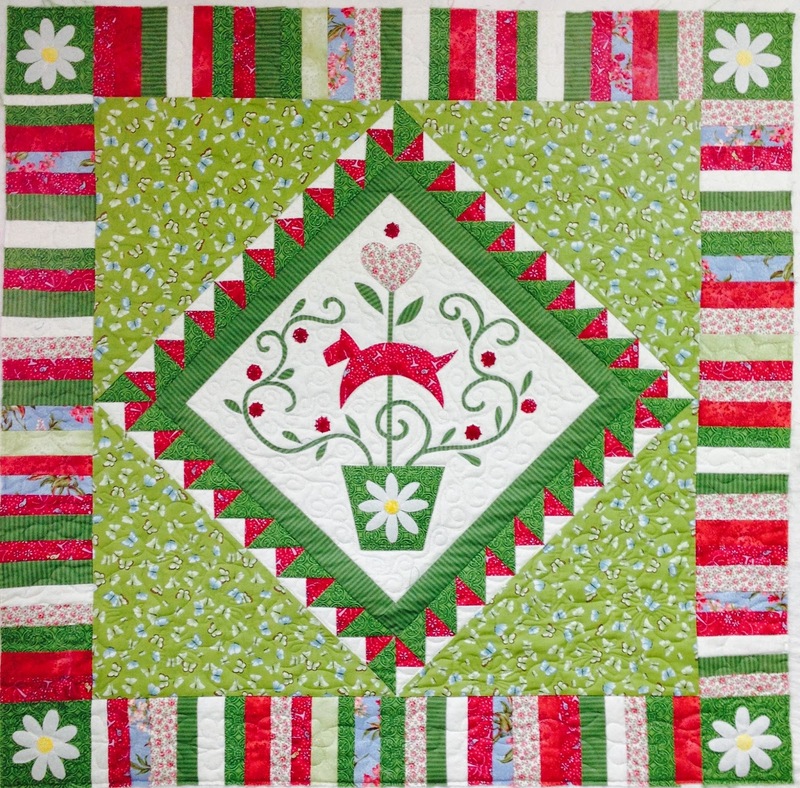 Kathy made up this quilt using 1930's prints and a white background, always a wonderful combination. 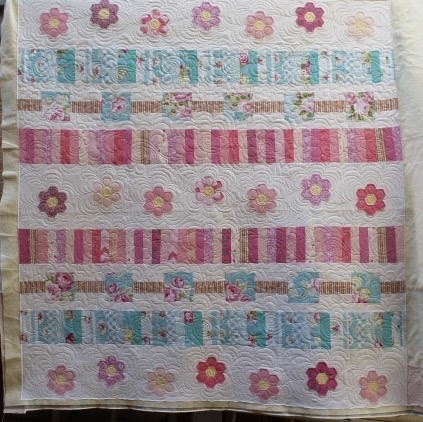 She wanted it to be used for a comfy lap quilt for her couch and so didn't want anything too tightly quilted or fancy. We decided on an over all wavy diagonal cross hatch. 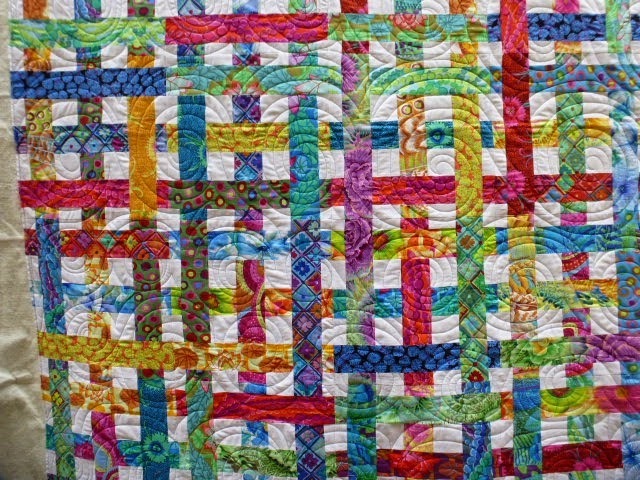 I love the texture it gave to the quilt. It was a bit of a challenge, making sure I didn't miss any of the squares or rectangles while doing the cross hatching. But it sure was worth it. 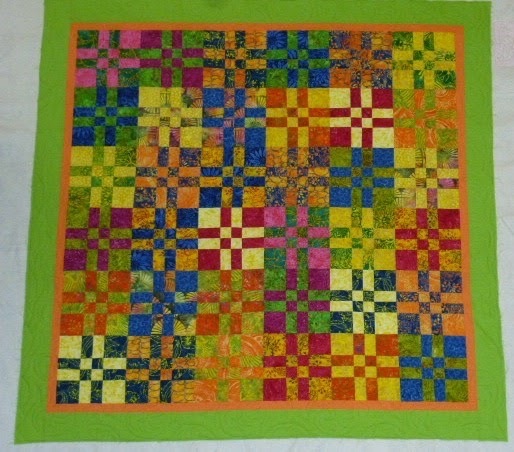 Alice brought me this wonderfully bright and fun quilt to do. 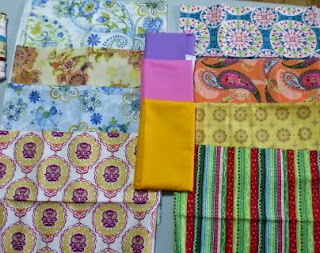 The fabrics are primarily Kaffe Fassett designs. I love the optical illusion in it, that makes it seem as if the strips are woven over and under each other. 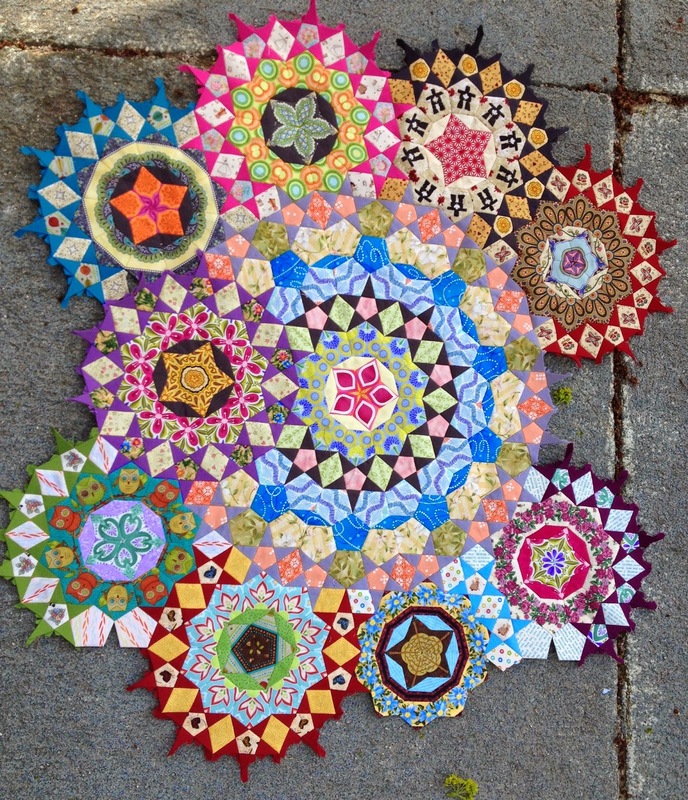 There's a lot going on in this quilt, so all it needed was something over all to pull it all together. We decided on a large circular swirl to soften the edges of all the straight lines. 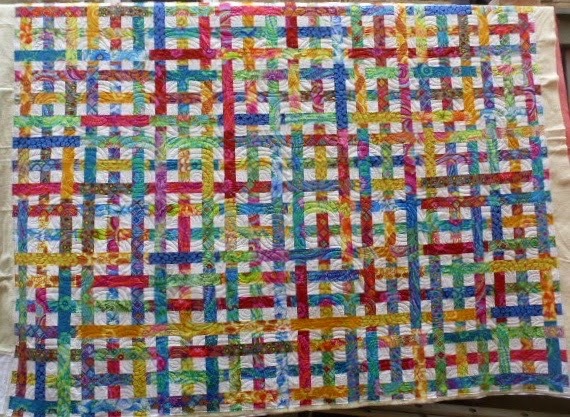 It was still the dark, damp and cold days of April when this quilt was done, and it was a welcome bright spot during those days. Charlene has this thing about making hexagons. 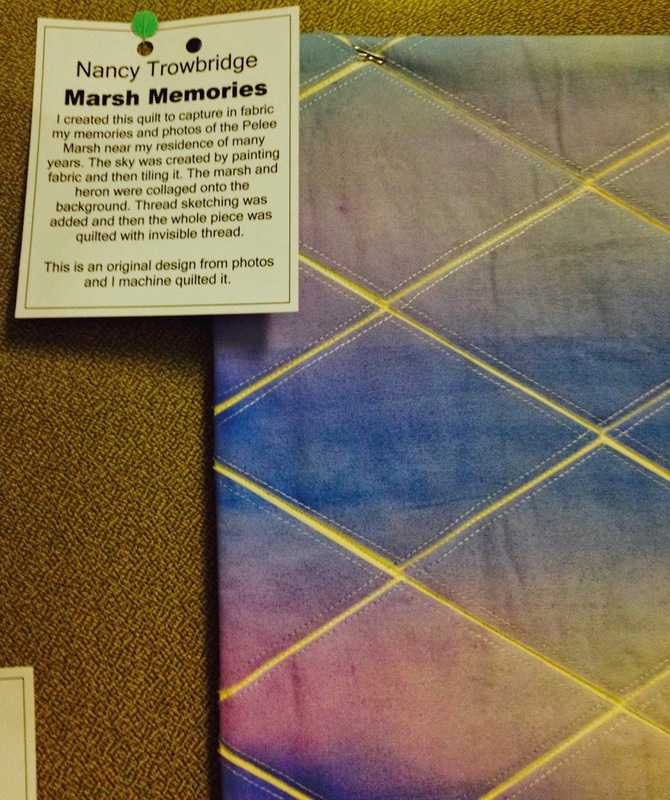 She's always making them, and will put them into a wide variety of quilts. And I really like the effect it makes. 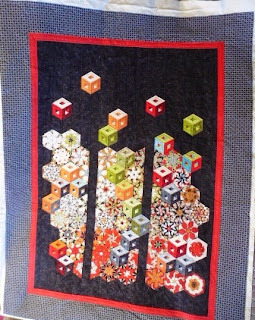 They work really well in the place of any kind of pieced block, or even appliqué. 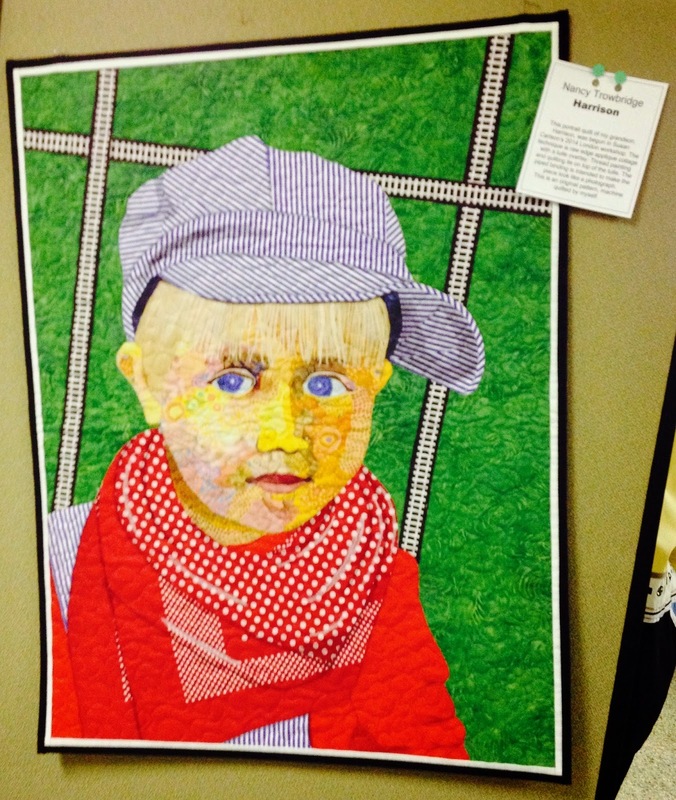 This is a quilt that she made for one of her grand daughters. Charlene's instructions when she dropped it off were to do "something simple". This is my version of simple..... and really, it was. It started off with putting petals into the hexagons, and then echoing around the hexagons. The rest of the quilting took off from there. 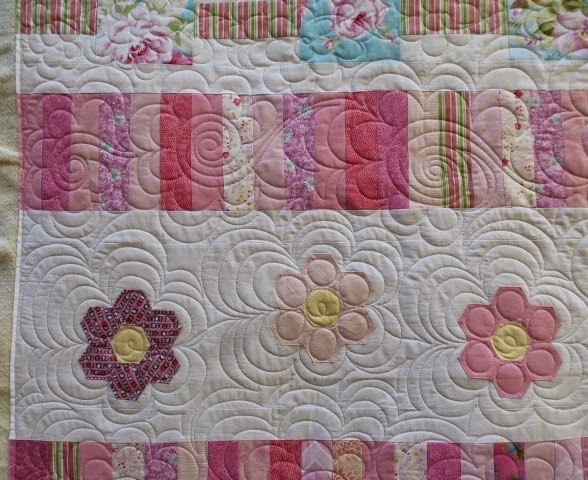 There are large roses in the floral fabrics, so the rest of the quilt got a variety of large scale rose floral type quilting. It was fast, and fun to do. What a glorious weekend it was. Once the rain finished on Friday, it was warm and mostly sunny. However, I have made a note to myself to purchase some rain boots. It was pouring down rain as we were setting up the campsite. I was wearing my bright yellow rain coat to keep most of me dry, but my feet were so cold and so wet. 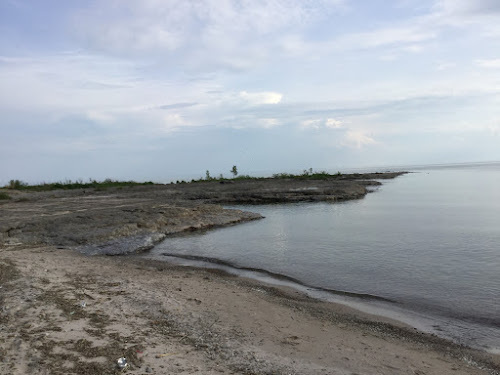 We're up at the Georgian Bay Area doing some camping and getting ready to celebrate our grandson's fourth birthday later on today. In the meantime I've been doing a little more stitching on La Passacaglia. 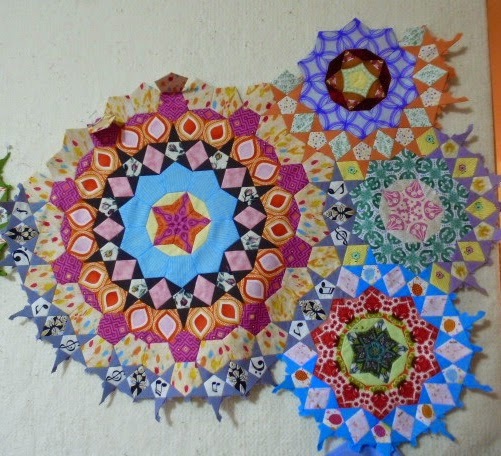 I have another of the partial rosettes finished and ready to stitch into place. I'm writing this on my new iPad, and I'm just learning how it works, so I'm not going to attempt any linking to other blogs, since I'm not sure how that works, or even if I can on this. It is a glorious day out here today. The sun is out, and the temperatures are wonderful. The sun sure feels good on these old bones. We're here until Tuesday, and there just might be a picture or two of the birthday boy a little later. For now, I'm going to post this, and then go back to my lazy slow Sunday stitching. 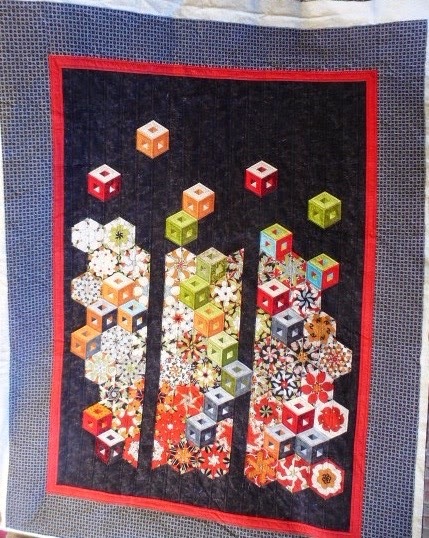 This quilt is just pure fun. 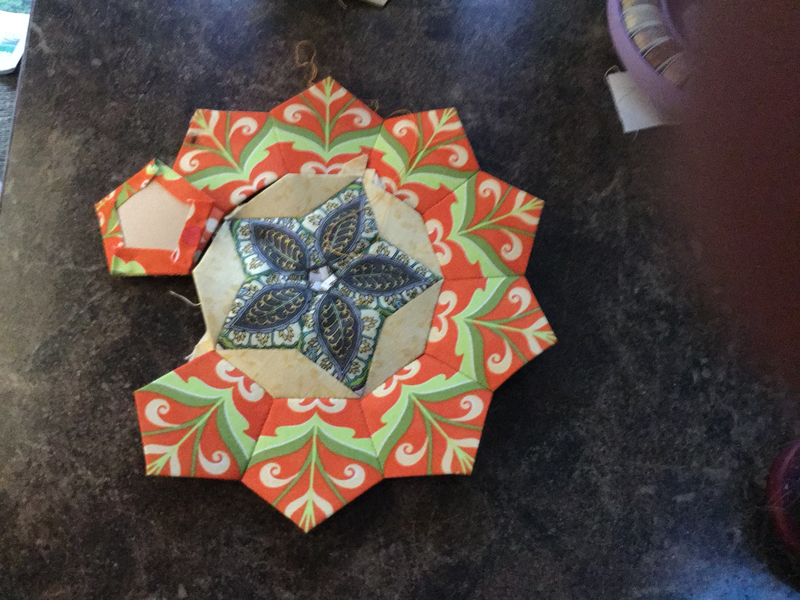 It's a wall hanging that Christine and a friend did as a round robin, I believe. She has a couple of West Highland Terriers, one of whom is named daisy, represented by the dog in the centre of the wall hanging. 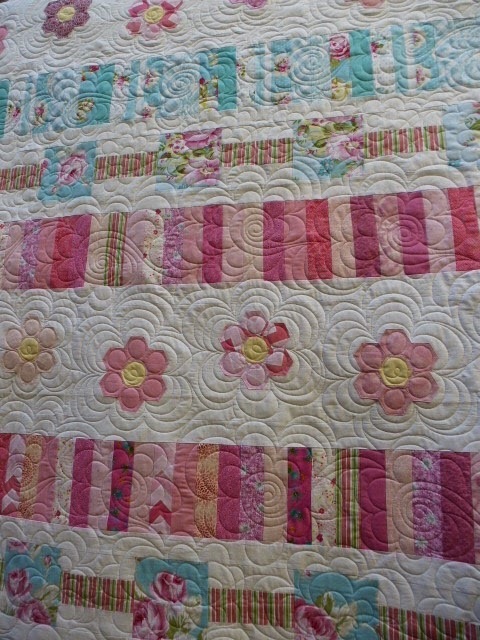 We continued the theme of daisies through the quilting. 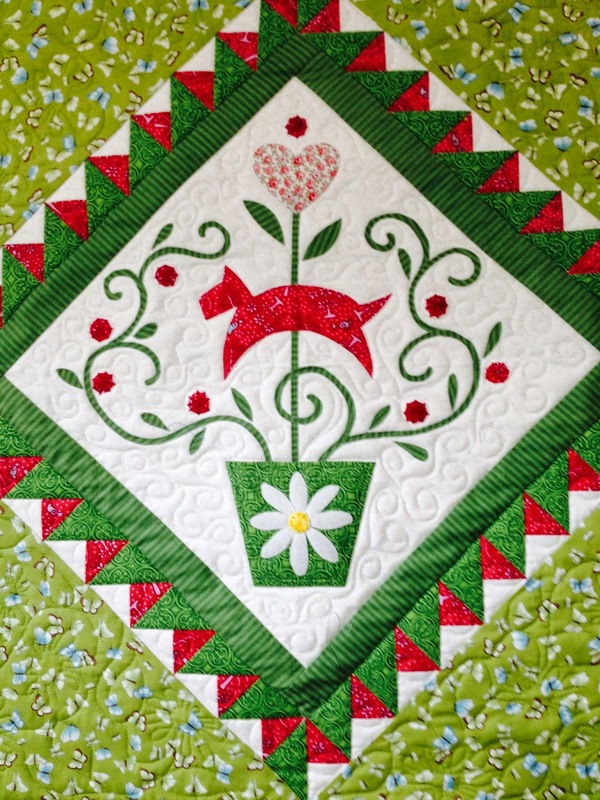 The centre appliqué area is stitched in the ditch, and then loops quilted in the background. 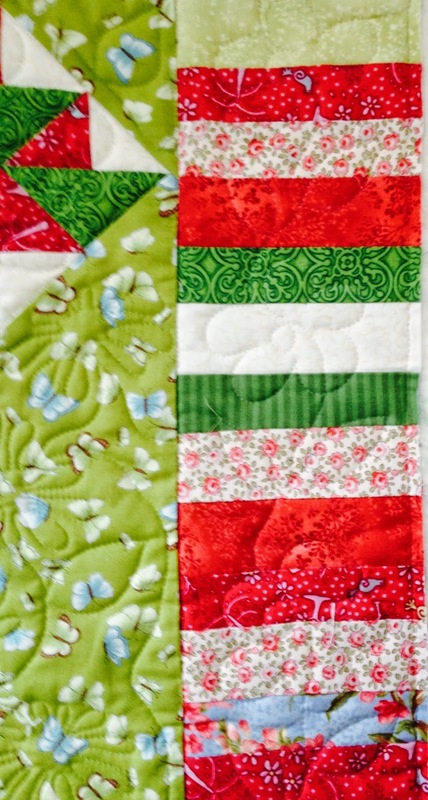 The next border, the green stripes, was left to stand on its own, with just some stitch in the ditch to separate it. The triangles were also stitched in the ditch, with a tear drop shape thrown in, just to break up all the straight lines a bit. 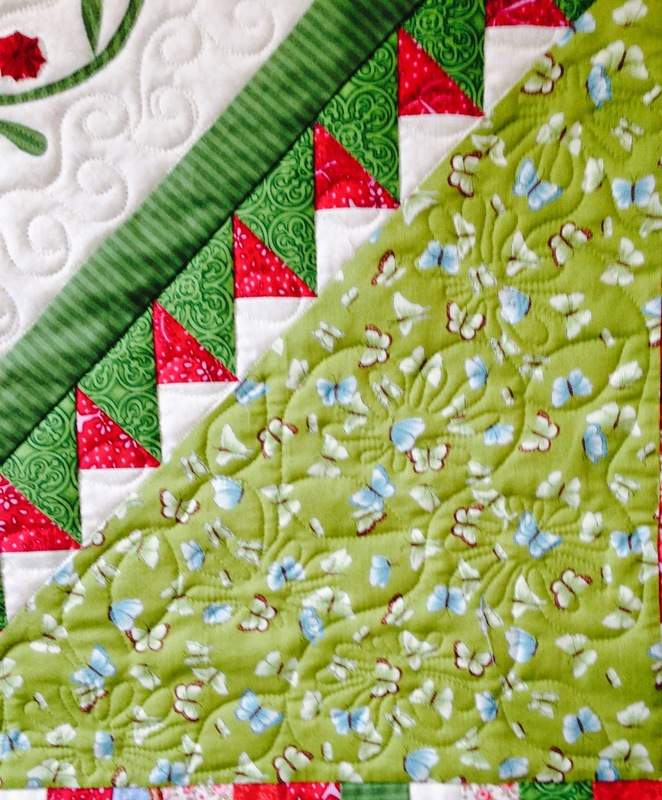 The large outer triangles got some daisies and leaves quilted into them. And the final border got some single daisies and leaves to go all around it, for a nice finish. I love this pattern. Even before I started making some of these blocks myself, I've always loved the graphic, high contrast effect achieved in this particular block. 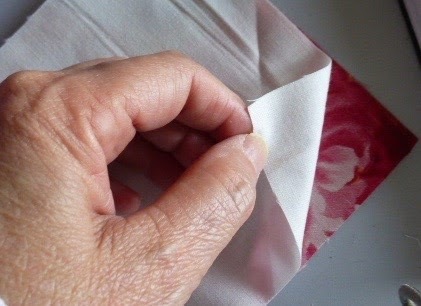 It always works, and always seems to look good no matter what fabrics are used. 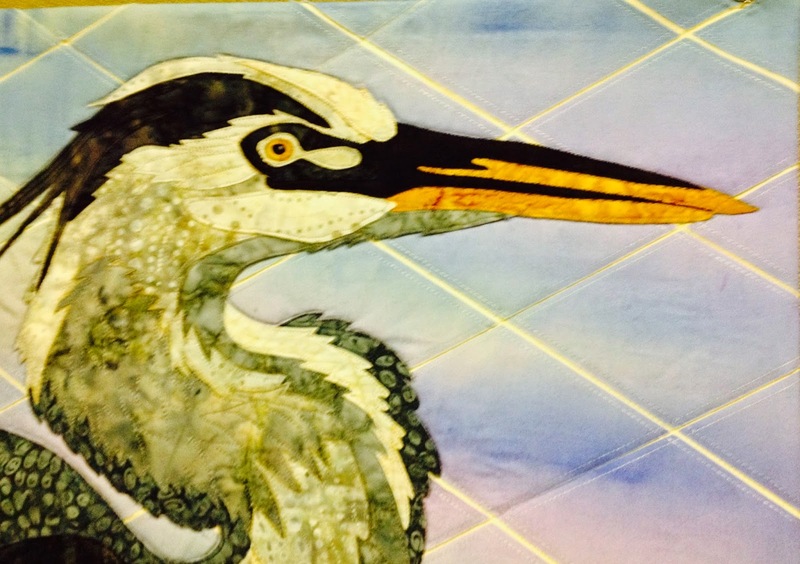 Sandra used batiks in hers, to very good effect. A lot of the fabrics has a leafy lace like fern leaf in them, so we decided to go with the Fossil Pantograph, which picked up on those shapes. I did up this quilt for Lyndsey back in March, I believe. 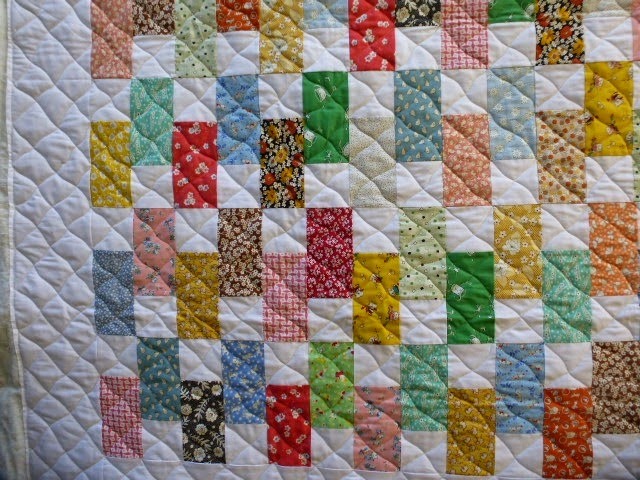 Obviously, I've fallen behind in documenting customer quilts, as usual. This is a Jane Austen quilt. All those tiny diamonds around the outside are incredible! I quilted this one using the white sashing in between the larger diamonds as a guide for wavy crosshatching. It let the shapes and the colours of the fabrics stand on their own, and be the stars of the quilt, rather than the quilting. 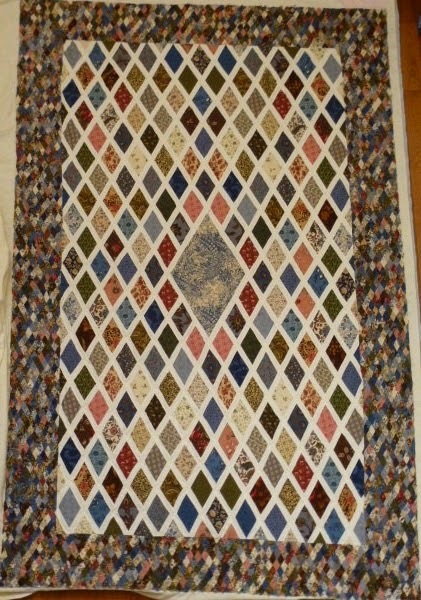 I like to have the quilting enhance the over all look of a quilt, rather than over power it. Due to the lighting conditions when the pictures were taken, it's hard to see the quilting. I'm a little later than usual with this today, but I have a good reason..... not because it's mother's day..... we did our mother's day celebration yesterday. My son Noel came in to the city, and Matt, my son-in-law, cooked. He did salmon on the BBQ and he made a chocolate cheesecake for dessert! I have the best son-in-law ever! It can't get much better than that. 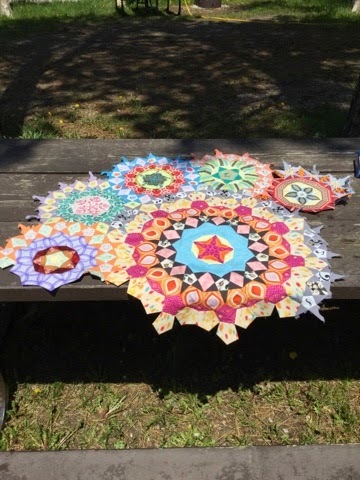 In the meantime, I have been working on La Passacaglia, a design from the book Millefiori Quilts by Willyne Hammerstein. I'm still putting the parts I already have done together, so there really isn't anything new to show. I have imposed a strict "no making any new rosettes until the ones I have are sewn together" policy on myself. So far, mostly because I've been too busy working on other stuff, I've stuck to it. 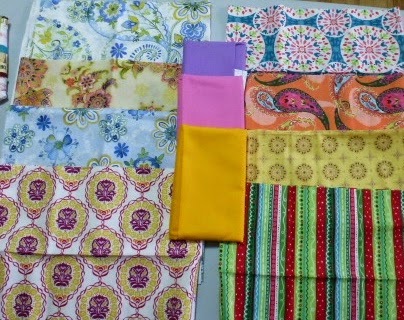 However, I am really testing my self control since I bought some new fabrics for it at the quilt show on Friday. There are a lot of fun fussy cutting possibilities in these. And a few more colours for the star points. This is where I am in the second section of the bottom half of the quilt. There are four or five more partial small rosettes to sew to this, and then I can put the bottom together. With all the sewing I've done this past week, trying to finish up the Canadiana Row Quilt, I have some pretty good stash used numbers to offset the incoming numbers. Net Stash busted: 2.85 yards. I'm linking to Judy's Stash Report, Kathy's Slow Sunday Stitching and Angie's WIPs Be Gone. It doesn't look like I've accomplished anything on La Passacaglia, by Willyne Hammerstein, but I really have. This whole section is now all stitched together. I have the other section that goes beside this one sitting beside me, and ready to start stitching it together, at which point this project will be somewhere around the half finished mark. It's been a lovely day here in the neighbourhood, and I've been outside for most of it, sitting and stitching and swinging on my new patio swing. Our old one stayed at our house when we sold it, so this was the year it got replaced. It's actually the only thing I miss from over there...... well, maybe the giant rose bush, too. We can't grow one here. It's too shady. Oh well, it's still the bestest place to live, ever!! I enhanced my stash a small bit this week, due to the vendors market at the quilt show I went to on Friday. I didn't do a large amount of damage. 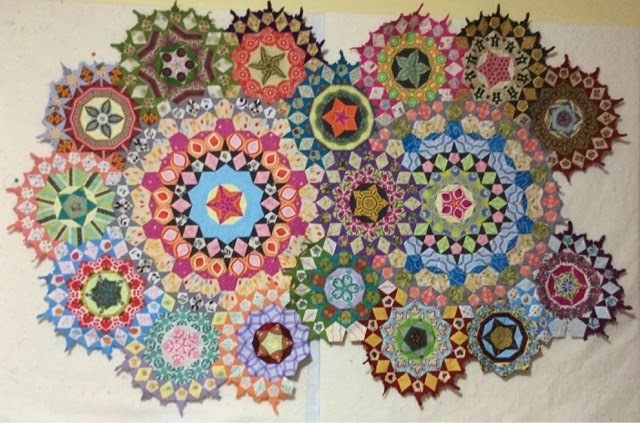 However, there is another quilt show this coming week, as well, and I expect there will be further damage to my in numbers. But I don't care. It all gets used, and it's a lot of fun. I'm linking up to Judy's Stash Report, Kathy's Slow Sunday Stitching and Angie's WIPs Be Gone. After I do that, and maybe blog browse a bit, it's back to more stitching. I'm busily sewing away today. Or at least until Noel comes over this afternoon, at which point we will be having our first family BBQ of the year. It is a gorgeous day out there today. I'm sitting here in my recliner, enjoying my second cup of coffee, with the door open, gentle breezes blowing in, and the sound of bird songs teasing my ears. How I miss this during the winter. When this first really nice day of the year finally comes, I feel like I've been set free! In the meantime, I have two deadlines to meet. The first is to get my disappearing four patches that Jannette and I are swapping finished. Here's a sneak peak..... We're using large scale florals, and Kona Snow as our constant. Then my other job is to get my Canadiana Row quilt finished. I have the flying geese borders all finished. I just need to cut the remaining borders and get them sewn on. 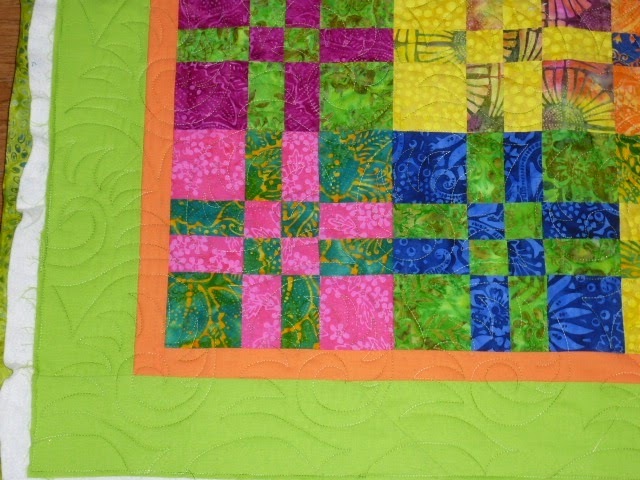 I would really like to get the backing made, and get it quilted before the next guild meeting, if I can. So, with that in mind, I guess I better finish this coffee, and begin the day. It's the beginning of quilt show season around here. There seems to be at least one every weekend for the next while. 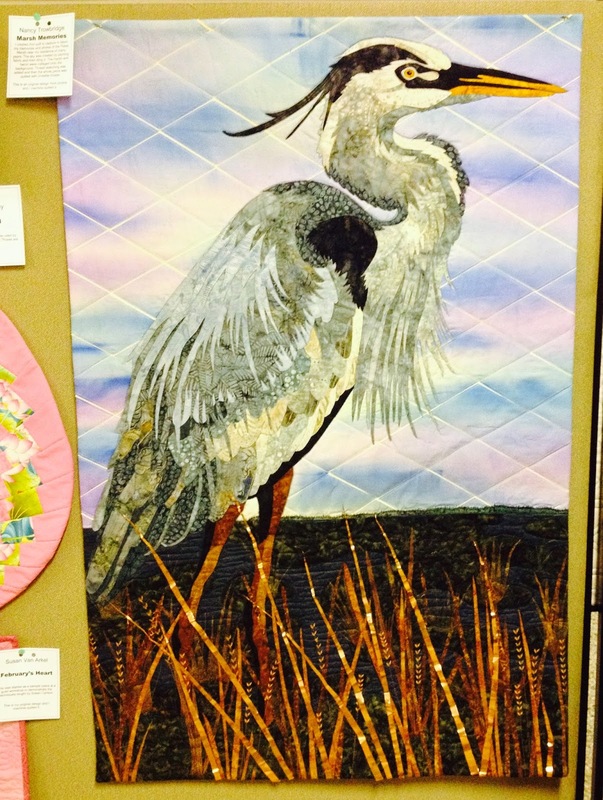 Lorna and I headed out to the Thames Valley Guild quilt show this afternoon for a few hours. They have some fabulously talented ladies there. I took quite a few pictures, but didn't always remember to get pictures of the labels. However, for the beauties I've pictured here, I do have labels. This piece here, to the right was awesome. 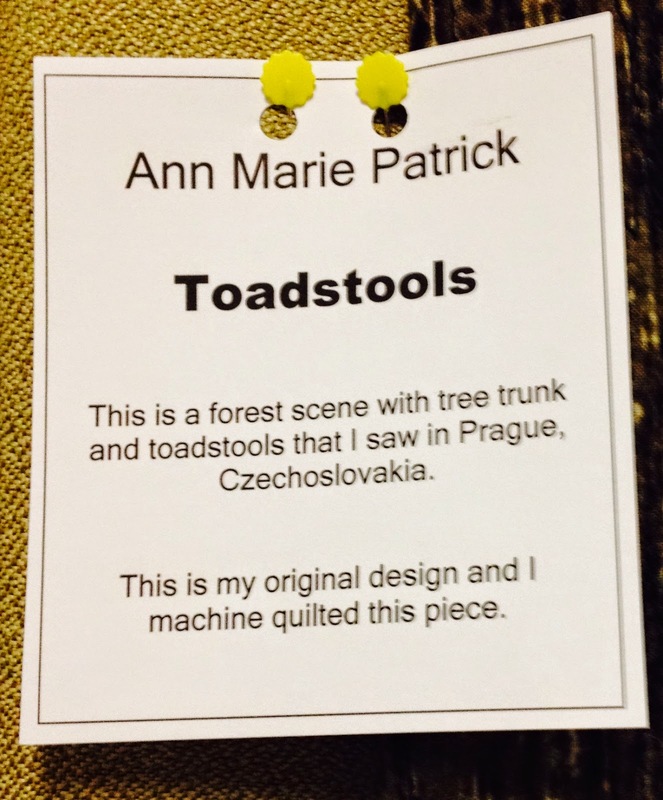 It contained all kinds of embellishments, and those toadstools were three dimensional. They were stuffed, and come right out from the face of the quilt. 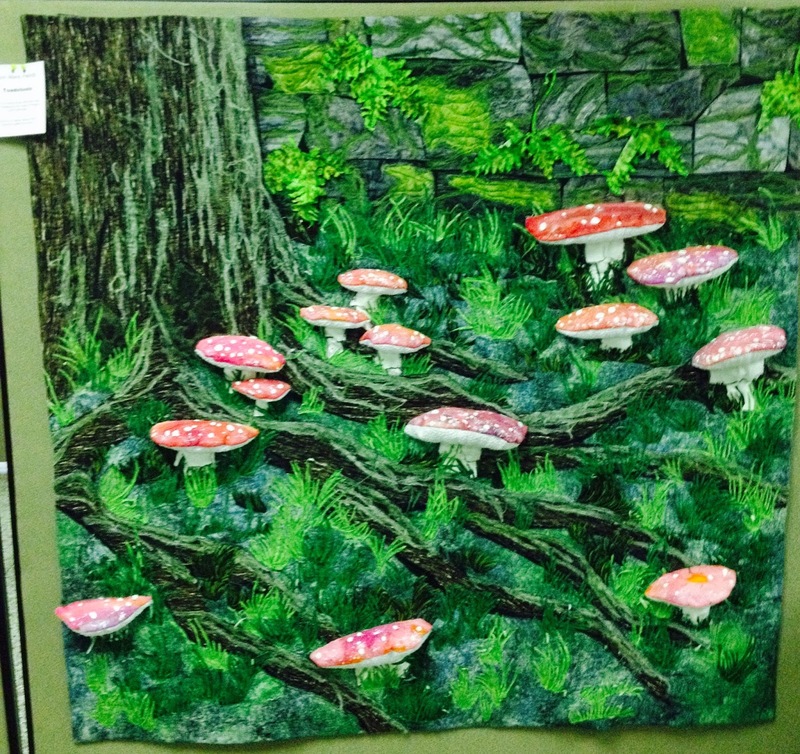 And the red fabric used for the top of the toadstools was quilted, as well. This crane was stunning, and the detail she was able to achieve is mind blowing. Here's a close up of the face. No more comments needed. This last one was also done by Nancy Trowbridge. In her explanation, she stated that it was an interpretation of a photo of her grandson. It is stunning, absolutely stunning. I don't know if this photo will biggie size if you click on it. The fabrics she used to achieve the shadows are so different to anything that would seem to fit as facial colours. And yet, the over all effect is just amazing. The show runs today and tomorrow. It's well worth the visit.